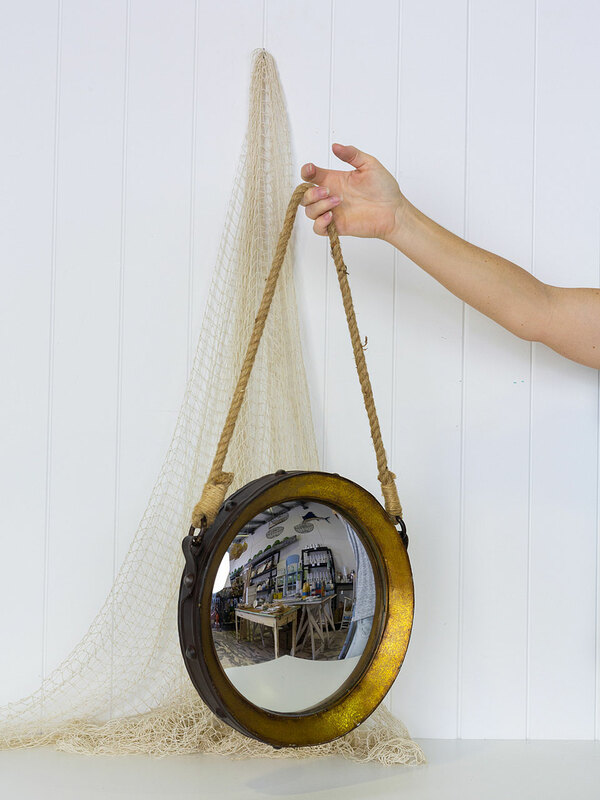 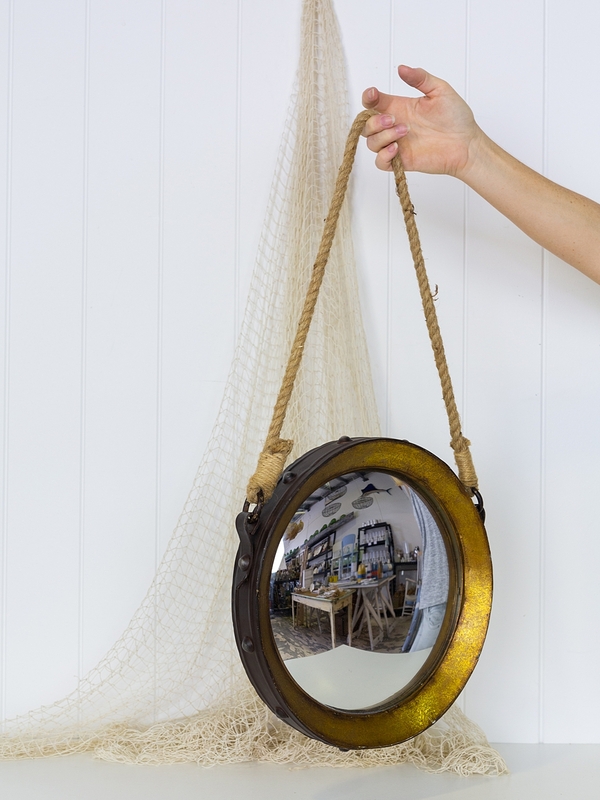 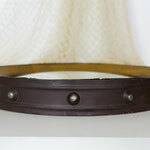 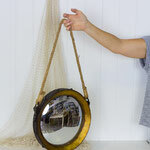 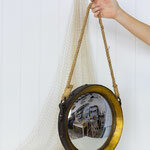 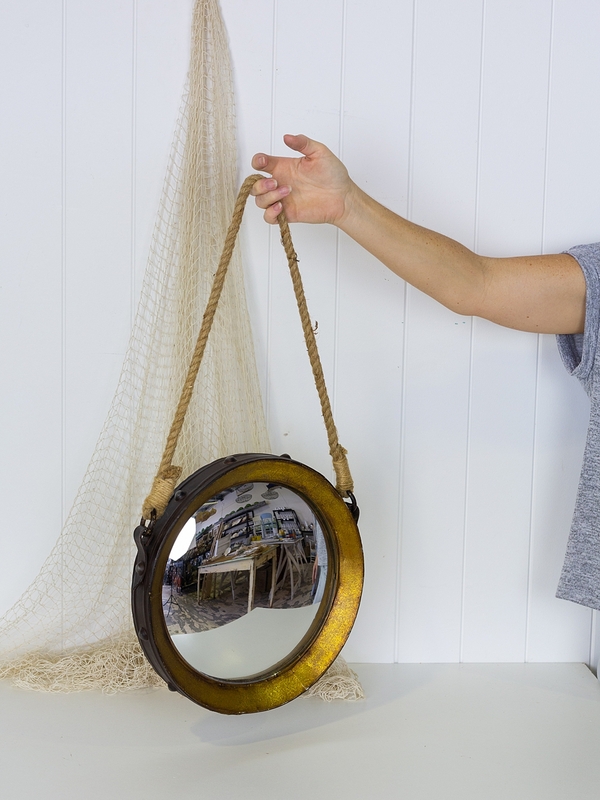 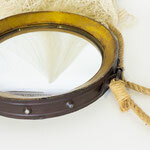 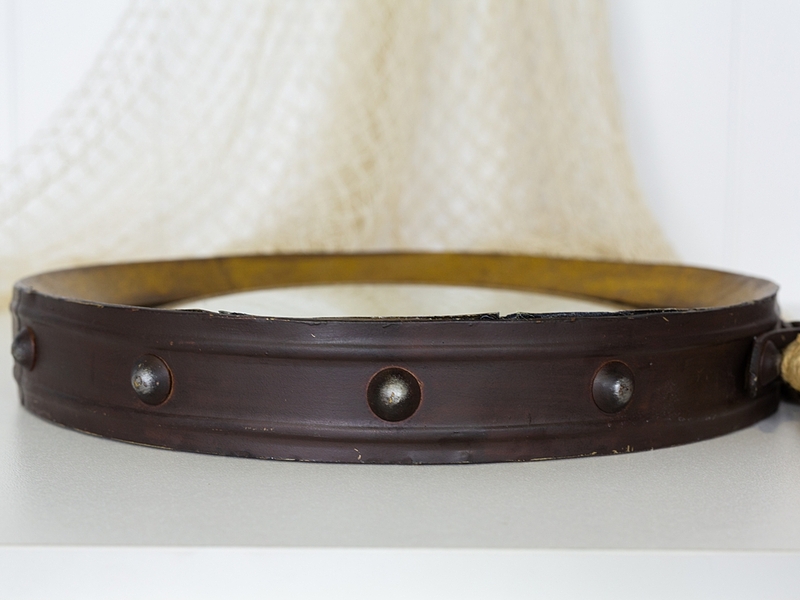 This is a lovely round convex mirror hanging with rope. 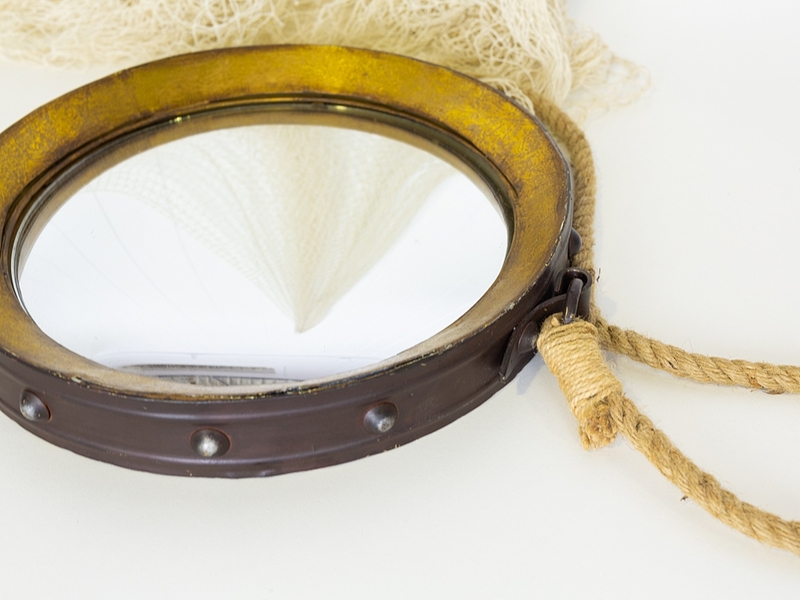 It is in great condition, with just a little wear and tear. 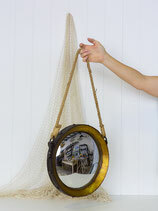 It would make a great addition to a bedroom or living area.